Hello sock lovers! In 2007 Socksmith owners Ellen and Eric Gil began designing their own socks out of their Santa Cruz, California 450-sq-ft sock boutique. It was their customers that led them to set “no boring socks” as their motto and to create comfortable, non-binding socks to make people smile. Colorful, bold graphics and fun, creative designs are what we happily carry from Socksmith Design. The light weight and breathable socks are constructed from the best quality argyle and cotton, bamboo and wool blends. Whether wearing with slippers, boots, slacks or jammies, Socksmith Design socks will keep your feet warm, dry and stylish. 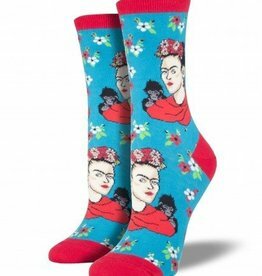 Frida Kahlo has the highly-respected reputation as of one of the most original painters of her time. Her influence now stretches across the world. 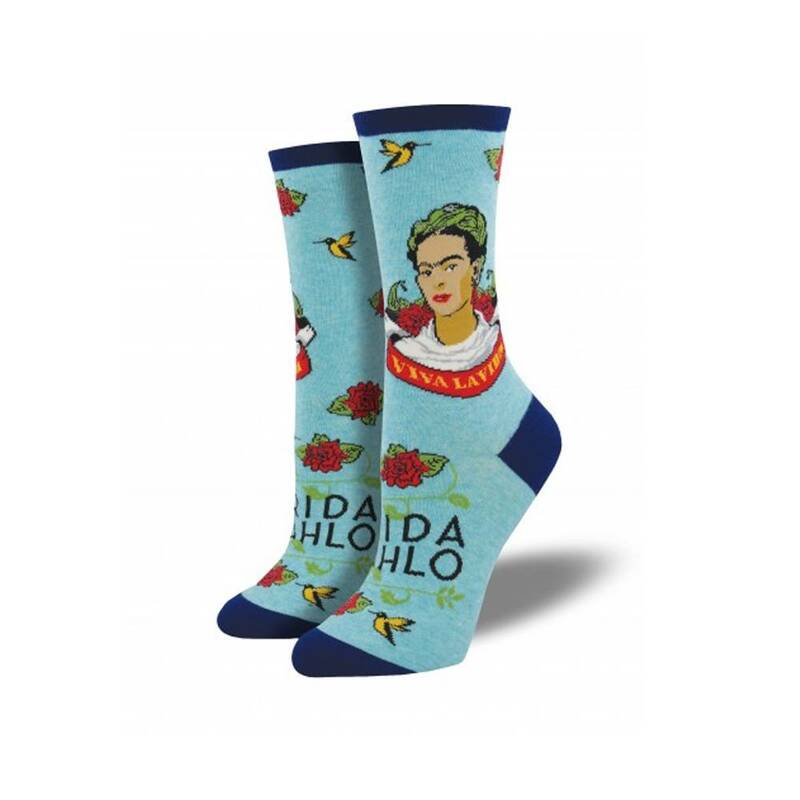 Featuring Frida’s portrait accompanied by “Viva la Vida”, these viva la frida socks, available either in heather ivory or sky blue, continue her revolution and the rebirth of tradition. Frida Kahlo has become an icon of Mexican culture and art around the world. Celebrate this amazing artist with these gorgeous Kahlo portrait socks. Available in peacock, wear these socks to show your love of Frida and compliment almost any outfit.